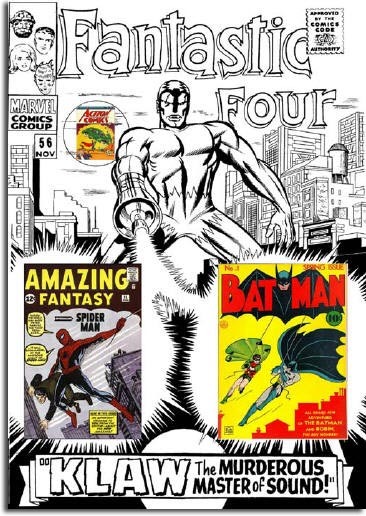 Comic Book Appraisal has been the foremost source for formal appraisals for comic books, original comic art, original newspaper strip art, animation art and original illustration art, for over 25 years. Collectors, dealers, financial institutions, museums, attorneys, galleries and the IRS have availed themselves of our services for establishing values for comic books, original comic art, original newspaper art and animation art. We have appraised over 1,000,000 individual items. For a complete overview of our Appraisal service please click here. To the collector, estate or owner of Comic Character Collectibles. Nothing is worse than selling a collectible and then finding out that its true value was many times the price realized. Unfortunately, there is no way to avoid this unless you know in advance the true, objective value, as well as acceptable parameters within the industry. Comic Art Appraisal LLC provides you with all the information you need to make prudent decisions. All without the conflict of interest inherent when dealing with a dealer, collector or auction house which has hopes of securing the collection. As stated in our terms, when we prepare a formal appraisal, as members of the American Appraisers Association, we sign a non-conflict of interest disclaimer. If you are contemplating parting with or need an accurate value or advice, for your: original comic art, comic books, animation art or comic character collectibles. Contact us today, for a free evaluation. Please register here to become part of our on-line community. This information will not be shared. You will receive pertinent information in regards to insurance, appraisal and related topics when available.